Every Reiki treatment I give includes a complete chakra balancing. This is one of my favorite healing gifts to provide, and I never close a session until each of my client’s main chakras have been cleared, activated and harmonized. 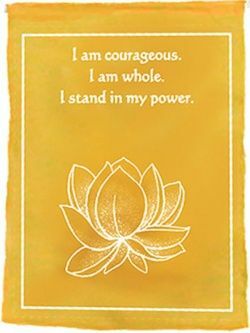 Recently, during my work, I have noticed that many of my clients are experiencing a weakness in the solar plexus chakra. Since this has been a running theme, I thought it would be worthwhile to write a little something about the solar plexus and offer a few tips to help strengthen this area. The solar plexus is located right below the heart just under the ribcage. There are some simple ways to keep this area vitalized. One is to meditate on the color yellow or to simply have the color yellow around. Wearing a yellow shirt, for example, keeping yellow flowers, making yellow art, or bringing decorative yellow accents into the home are some helpful ideas. Crystal therapy is also effective for chakra balancing. Citrine is one of my favorite crystals, and it can be used to empower the solar plexus. Keep this stone in a place where it can be seen throughout the day like on a work desk or keep it close to the body, tucked away in a pocket or worn as jewelry. If you don’t have citrine, simply visualizing and meditating on its image can be just as effective. If you do this, visualize that the citrine is being placed right inside your solar plexus. This can invoke wonderful healing. During sessions, I will directly channel the energy of citrine (or whatever crystal shows itself to me that is specialized for the client’s healing) into the solar plexus to amplify its energy. Another technique I use is to draw down the sun. I do this by channeling the powerful sun energy into the solar plexus. My client can further this work by visualizing that the sun is being placed right into the solar plexus. This meditation can fill and warm up this area, which is often what a weak solar plexus needs to be activated and in balance. 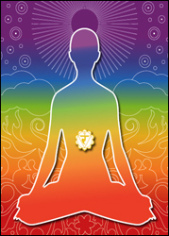 Each of the chakras has a sound frequency that relates to it. 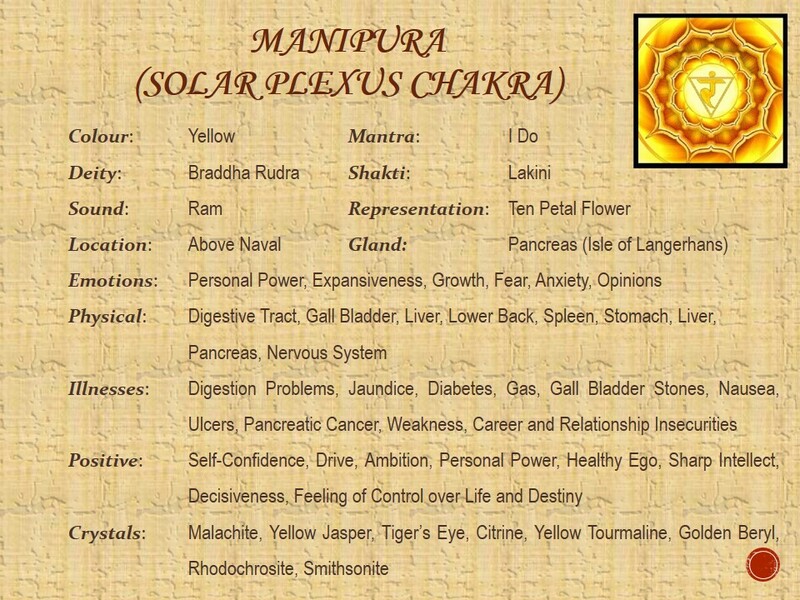 The seed mantra of the solar plexus is: Ram. Meditating while slowly chanting the word Ram is a way to connect the vibration of your own voice to that of your solar plexus, thus clearing and harmonizing this power point. The following are two musical videos that focus solely on solar plexus healing using sound frequencies. This first video, Magical Chakra Meditation Chants for Solar Plexus Chakra | RAM Seed Mantra Chanting and Music, is an hour of meditative chanting. You do not have to listen to the entire hour, just a few minutes will be of benefit if your time is limited. I would recommend looking at the screen while listening, so you can focus on the bright yellow image. You may also gain benefits simply by playing the music in the background while you work, meditatively walk, or putter around your home. If you enjoy listening to chants, this may be a great video for you. 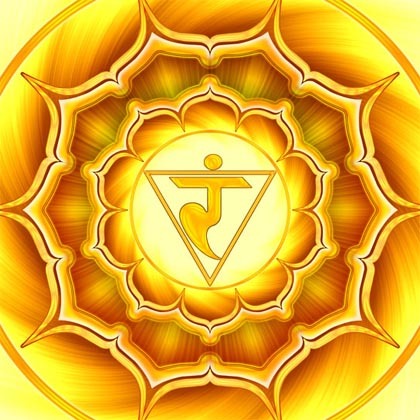 This next video is called 528 Hz – Manipura: The Solar Plexus Chakra. The sound frequency here is designed to match and activate the solar plexus. If you quiet your body and mind enough, you may be able to feel the energy of this music vibrate within your solar plexus. Have fun experimenting with colors, crystals, meditations and sounds. If you feel you need a deeper healing and more significant chakra balancing (for any of your chakras), I am always available for distance or in-person Reiki sessions. You are welcome to contact me HERE anytime. I wish you much balance, personal empowerment and courageous vitality, always. Here in the States, it’s Labor Day weekend, the last weekend punctuating the end of summer vacations, and everyone is bustling about. However, if you are anything like me, you are snuggled in, relaxing at home or in your favorite private nature spots, bypassing the scurry on the roads and trails altogether. I like to avoid chaotic crowds and traffic when possible. Because of this, you’ll most likely find me on the coast, in the city (in San Francisco or Berkeley) or on forested trails during the week when everyone else is busy at work. I like to extend my intuitive healings, readings and animal Reiki during the weekends and evenings not only because it is more convenient for my clients but it also allows me to go inward and dabble in the spiritual realms when the outside world is buzzing around. This long 3 day weekend is no exception. For me, this is a perfect time to relax, rejuvenate, meditate, read, create and manifest with Reiki, love-centered energy and visualization. The new moon is filling and waxing, which is a perfect time to think about everything good, healthy and high-vibe we want to invite into our lives. I usually post short meditations and videos, but since we have a few days off for the holiday, I am sharing this 1 hour long Tibetan Singing Bowl Meditation Chakra Healing which will help you move into that sacred space within your very core and your love center. There is no need to listen to the entire video unless you feel drawn to do so. Even just a few minutes of listening will raise your frequency. You can meditate to these soothing natural sounds and musical vibrations or simply play them in the background as you amble about your home or garden. The intention here is to quiet the mind, move into your heart space, resonate with your true essence and embrace deep peace. This blog is about Shana Dean, her worldwide Reiki Healing Arts practice and more. It's about her spirit, musings, natural recipes, teachings and exploration ~ all sprinkled, every which where, with a little magic. If you poke around a bit, you’ll find information on what Reiki Energy Work is and how it can change your life, align you to your soul’s purpose, encourage synchronicity, and deeply, profoundly heal on multidimensional levels. It’s truly mind-bending stuff. (In a VERY good way!) It’s the stuff quantum physics is made of. It’s cosmic, universal, spiritual, physical and simply amazing. It’s also experiential; so when you feel it, you’ll know more. And, if you get in touch with Shana, you most likely will. While here, you may find yourself motivated about natural, raw foods and why this diet and lifestyle is one of the most transformational healing modalities on and of the earth, not to mention it’s absolutely delicious! You’ll read some personal stories, adventures, discoveries and life lessons. Don’t be surprised if you stumble upon some fine photography, whimsical poetic verses, or maybe even tiny bits of faery dust tucked in a few nooks and crannies along the way. There’s more to discover here if you poke around just long enough. You never know what may inspire, empower and enlighten you. Are You Ready For The Next Level? Reiki III Master Classes in Santa Rosa!